Keeping your home’s air conditioner running will make your family feel cool. But doing so will also increase your utility bills and produce additional pollution that hurts the environment. It can lead to sneezing, coughing, and dry or watery eyes, too. You can get the most from your air conditioner in Bradenton, Florida, by checking your insulation, adding a programmable thermostat, and maintaining it regularly. Gaps or leaks in your insulation let conditioned air escape, forcing your system to work harder. They can also let pollen, dirt, dust and other contaminants into your home. Look for air leaks by turning off your HVAC system. Then, carry a candle or a piece of string around your house and hold it near windows, door, and vents. If the candle flickers or the string moves, you probably have an air leak. 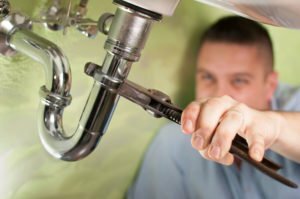 Contact a professional to repair the leak. You can also make your air conditioner more efficient by adding weather stripping to your doors and windows and placing caulk around electrical outlets. You can set a programmable or smart thermostat to turn your air conditioner off while you’re away or asleep and return your home to a more comfortable temperature before you return or wake up. Many programmable thermostats also have humidity monitors, indoor air quality monitor, and automatic maintenance reminders. Some can also connect wirelessly to your computer or phone. As a result, you’ll be able to access your HVAC system from anywhere to increase energy efficiency and savings at a moment’s notice. You should have your air conditioner checked by a professional at least once per year. As a result, you’ll catch problems like refrigerant leaks or blockages in your ductwork before they can waste energy or make your home uncomfortable. Replace your air filter once per month to avoid straining your AC system. Keep plants and debris away from your outdoor unit. Air & Energy is a Trane Comfort Specialist with more than 35 years of heating and air conditioning experience. We can help you save energy and stay comfortable. Call us at 941-778-0773 for excellent service from our knowledgeable service technicians.